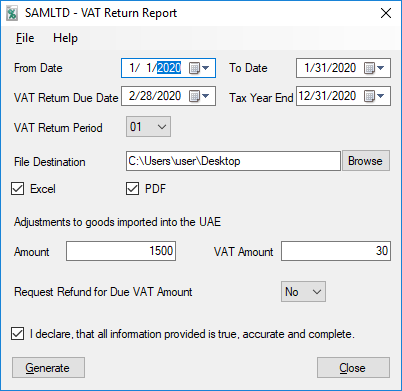 The application generates a VAT Return file (in .xlsx and/or .pdf formats) and FTA VAT Audit file (FAF) (in .csv format) based on the predefined configurations and UAE Federal Tax Authority requirements. 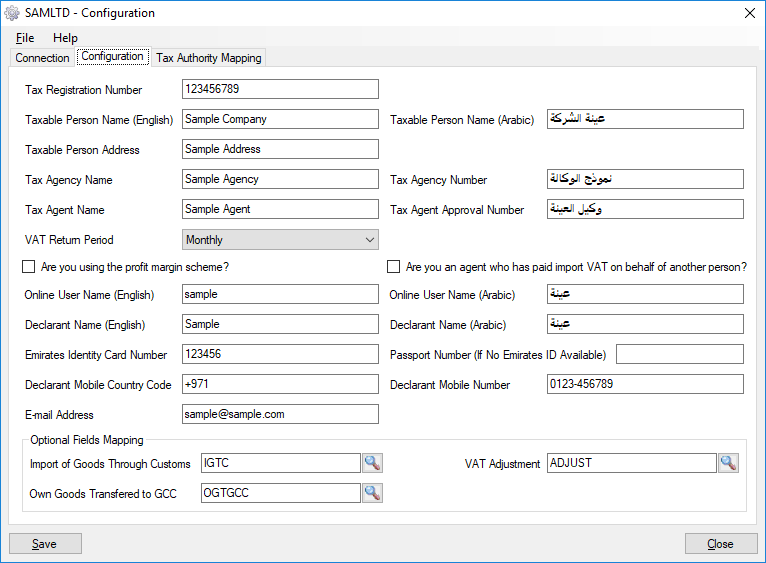 The program uses Tax Authorities, Tax Classes and Optional Fields to calculate amounts for each report line. 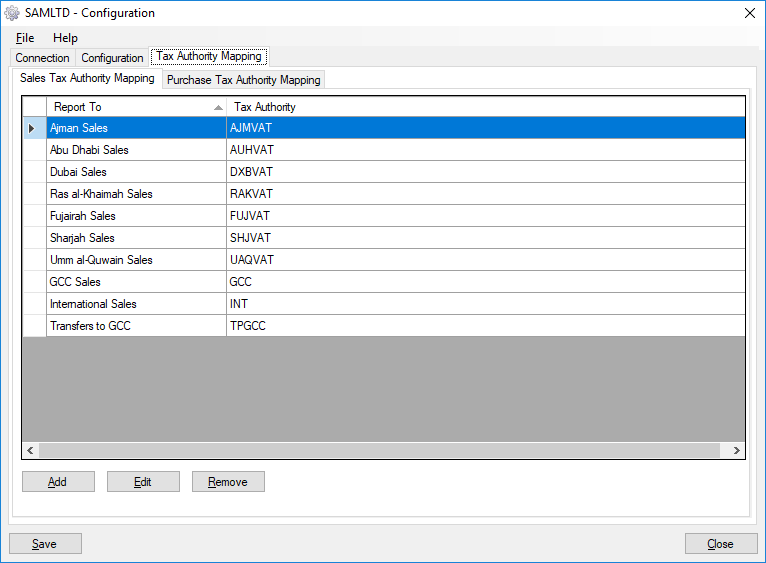 Users can map multiple Tax Authorities to each report line. An evaluation version is available. 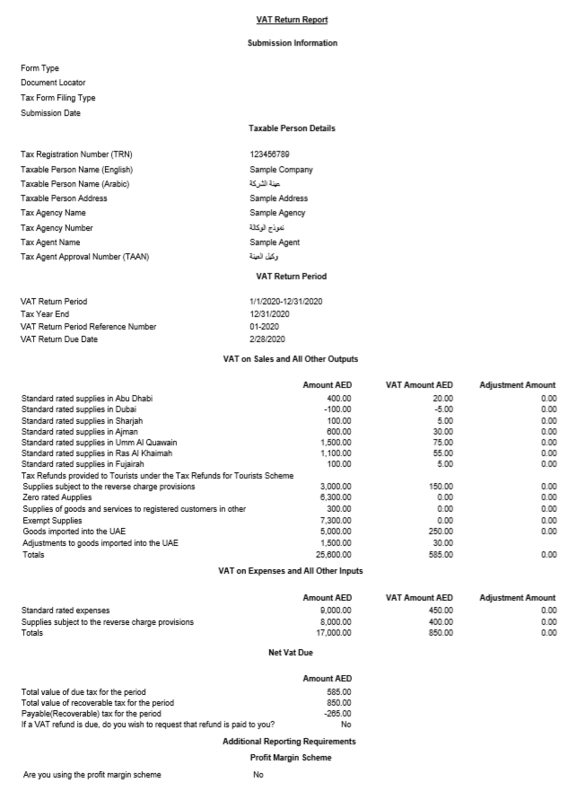 Please contact Sales@systronics.com for getting the installation package and User & Administrator Guide.